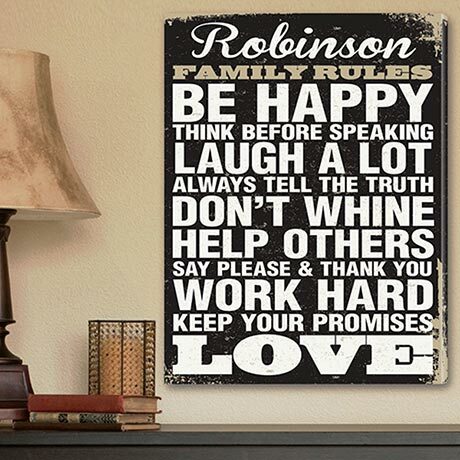 This light-hearted Family Rules canvas print is an ideal way to add a personalized touch to your home. A bold white on black lettering has the look of distressed paint on a vintage sign. Customize with your family name (up to 15 characters). 18" x 18". Allow 2-3 weeks for delivery. No rush or gift box. Item can only be shipped within the Continental US.